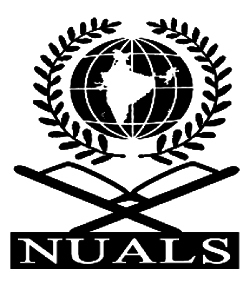 The Centre for Environment and Law, NUALS, Kochi welcomes contributions for the first issue of the Environment and Society Journal that is scheduled to be released in fall, 2013.ELSJ is a student-edited journal published by the Centre for Environment and Law of the National University of Advanced Legal Studies. Kochi. All works must be original, undistributed and unpublished. The research papers should not be plagiarized wholly or in part from any sources. Margin – One inch on all sides. Co-authored papers / Papers with multiple authors should not exceed more than TWO authors. The electronic copy of submissions has to be made to [email protected]. Please mention the title of the submission once in the beginning of the write up, followed by the author’s name. The Author details including qualifications and institutional affiliations should be provided in the first footnote of the article, referenced from the author’s name below the title of the paper. Contributors are required to provide details for correspondence: postal address, phone numbers and email address. The submission deadline is 31st August 2013. For queries, you can drop a mail at [email protected].